Are you searching for the refined power of a new or pre-owned Cadillac CT6 near the greater Oklahoma City or Edmond area? 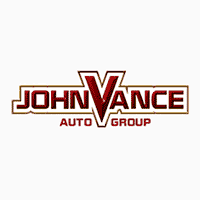 Come discover why Vance Auto has been faithfully serving Oklahomans for over thirty years. Vance GMC Cadillac Buick in Guthrie, Oklahoma is just a short 10 minute drive north of Edmond and 30 minutes north of downtown Oklahoma City on I-35. Our main priority is still customer service, and we plan to keep it that way for another thirty. We may sound small town but we have big city inventory and service. With Vance Auto Group’s nine full service dealerships, we have a vast lineup of used vehicles, including the Cadillac CT6. Are you looking for a brand new CT6? Our Guthrie dealership will treat you like our great Oklahoma neighbors. You’ll experience reimagined prestige in our Cadillac CT6 as it is in a class of its own. Get a feel for refined power with a 404 HP 3.0L twin turbo engine. Not only does it perform like a dream, the exterior is sleek and dynamic and demands attention. Strength and style are complemented by a powerful stance and iconic vertical lighting. The Cadillac lines and curves create a look that is both hard to resist and impossible to mistake. The interior is tailored to create rich comfort that indulges you in leather and heated seats and ambient lighting. Not only do you ride in luxury, you can have the latest technology at your fingertips with hands-free Adaptive Cruise Control, Auto Parking Assist, Rear Camera Mirror, a touchpad with Cadillac Experience, Remote Start, Wireless Device Charging, Heads Up Display and Cadillac Built in Wi Fi Hotspot all designed to keep you safe and in touch on the road. Other safety features include Surround vision, Forward Collision Alert, Lane change Alert and Lane Keep Assist. The Cadillac CT6 is the epitome of luxury, performance, safety and connectivity in the ultimate Cadillac style. Make the short drive to see us in Guthrie, OK at Vance GMC Cadillac Buick where we dedicate ourselves to helping you find the vehicle of your dreams and serving you like one of our Oklahoma neighbors..